Call me crazy, but we are doing two concurrent festivals over the holidays, Pacific Arts Market for our lotions and soaps, plus the Allied Arts Festival for my barrettes, shadow boxes and assemblages. 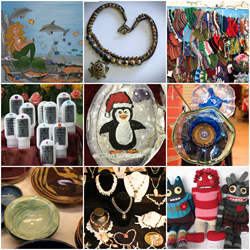 Pacific Arts Market is a true cooperative, owned and operated by the artists. I’m stoked to be joining this group for the first time. It will be located in Sunset Square, next to Jo-Ann Fabric. The market will be open the first three weekends in December, Friday through Sunday, Dec. 4-6, 11-13 and 18-20. 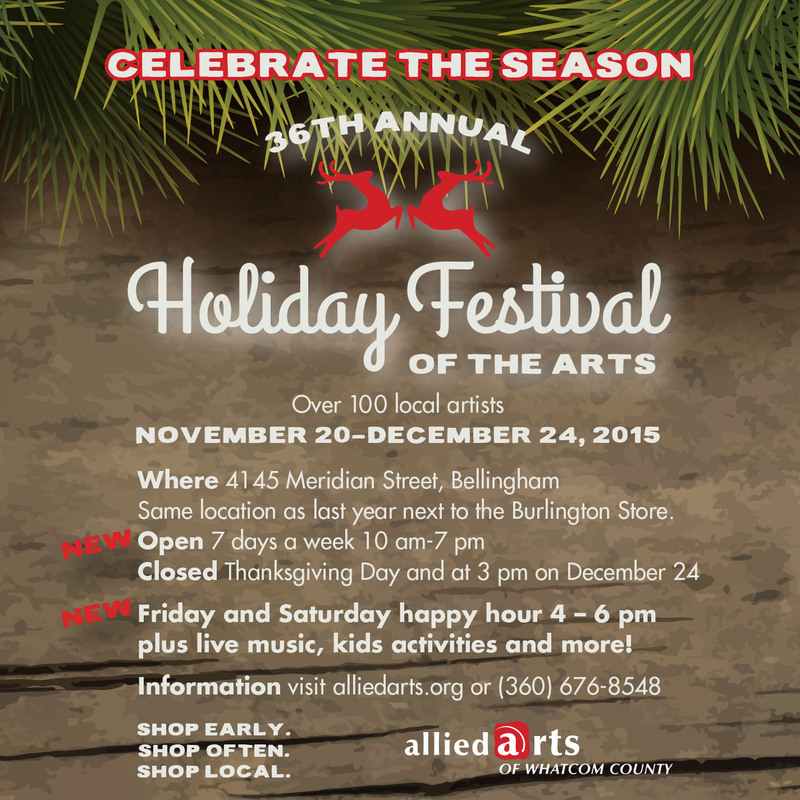 The Allied Arts Festival will be returning to last year’s location, across from the Bellis Fair mall entrance on Bakerview. This is in same shopping center as Burlington outlets, in the back corner. It’s a great space wth lots of natural light. Stop by both and support local artists! If you’re in town and want to see what Realms is up to, here’s where we’ll be. The Festival of Lights is a really special event; it’s a show put on each year by Amy Gould in her stunningly decorated Victorian home across from the Armory (510 North State Street). Some of my favorite artists will be there selling their work. I will be bringing lotions, gift baskets, barrettes made from repurposed vintage jewelry and glass assemblages. The dates are Friday evening, December 5 from 5-9 PM and Saturday, December 6th from 11 AM-5 PM. This is by invitation only, so this invite is your entry in. Going on right now is the Allied Arts Festival. This year it’s in a great location — across from the entrance to the mall on Bakerview, in the shopping center with the new Burlington outlet (4145 Meridian). It’s a nice building with lots of windows and natural light. There are several wings with small groupings of artists that make the whole experience more intimate. For the next month or so, we’re on the road around the realm. 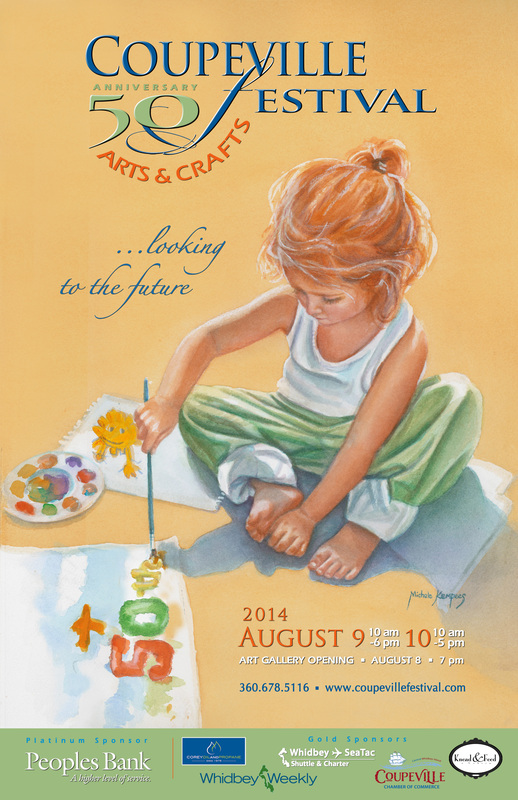 Coming up this weekend, August 9 & 10, is the Coupeville Arts & Crafts Festival. We’re stoked to be back at this great fair again. 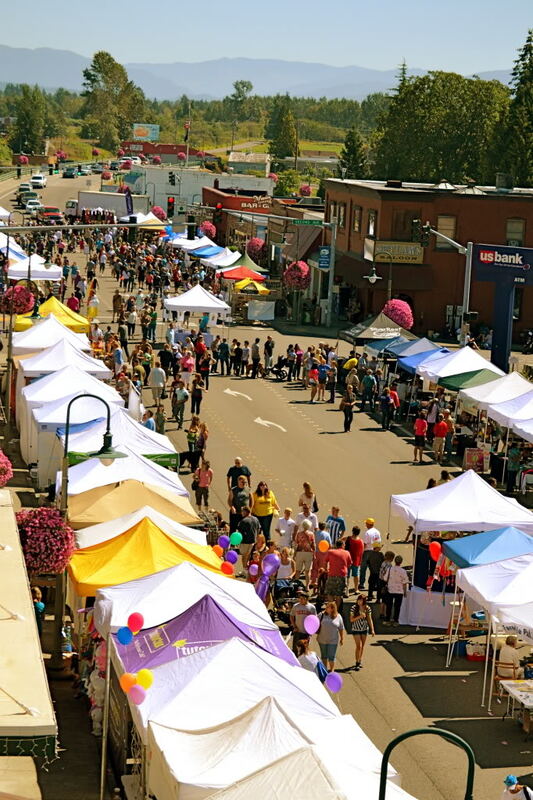 Then…Port Townsend’s Uptown Crafts Fair on August 16. 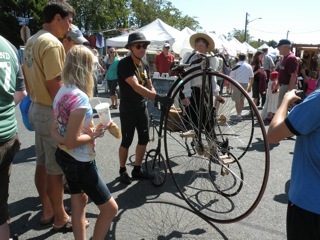 Followed by the Ferndale Street Fair on August 23. 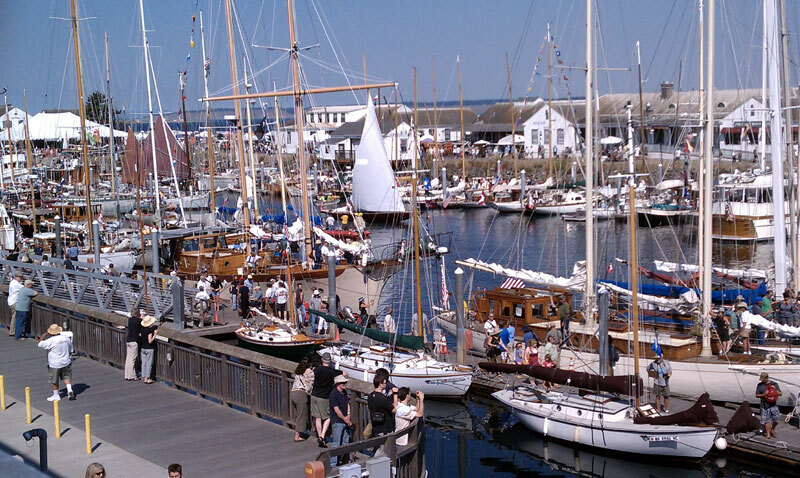 And the last big show is the Wooden Boat Festival in Port Townsend, September 6 & 7. Have tent; will travel! We’re gearing up for the summer season, making lots of lotion and soap. We’re going to try out the Mt. 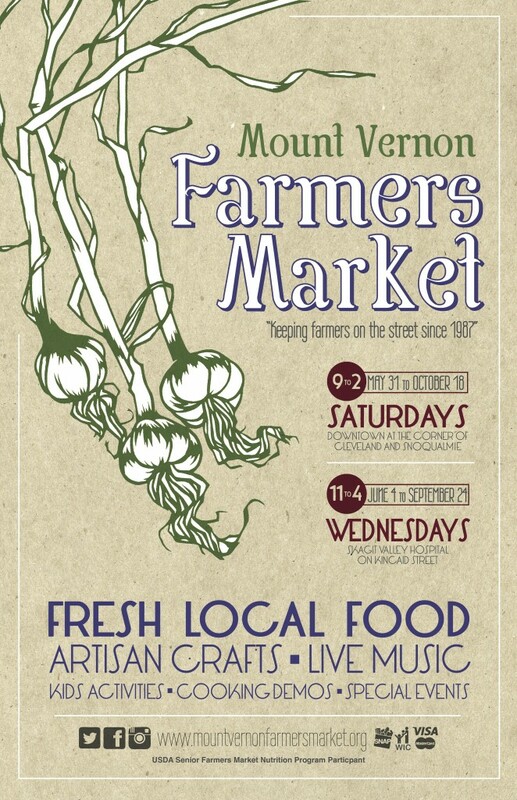 Vernon Farmers Market and see how it goes. Word has it that the Swedish pancakes are seriously yummy, plus there are lots of other food vendors, so you may want to plan a visit around lunchtime. 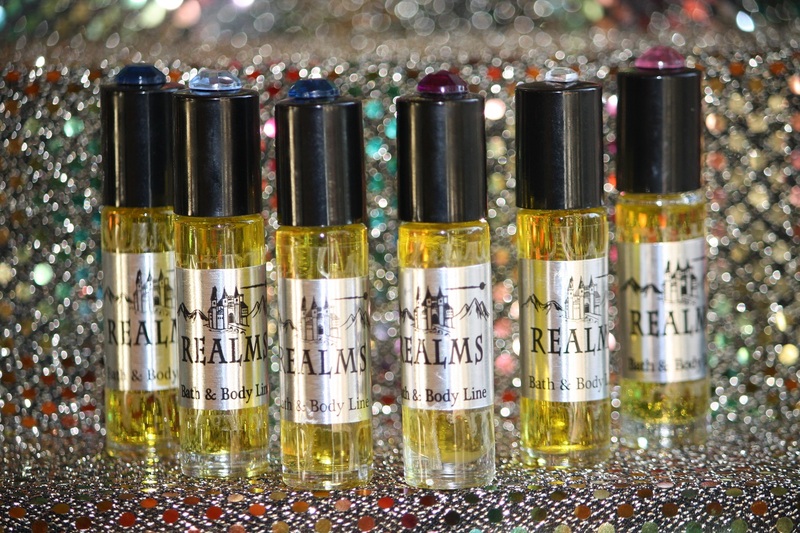 I’m tickled to roll out my new Jojoba oil roll-on perfumes. Jojoba oil has some amazing properties. It’s suitable for all skin types and penetrates easily. It softens without being greasy and because it’s odorless, is perfect in combination with fragrance oils. Jojoba oil perfumes are a great way to keep your favorite scent fresh all day, while nourishing your skin. 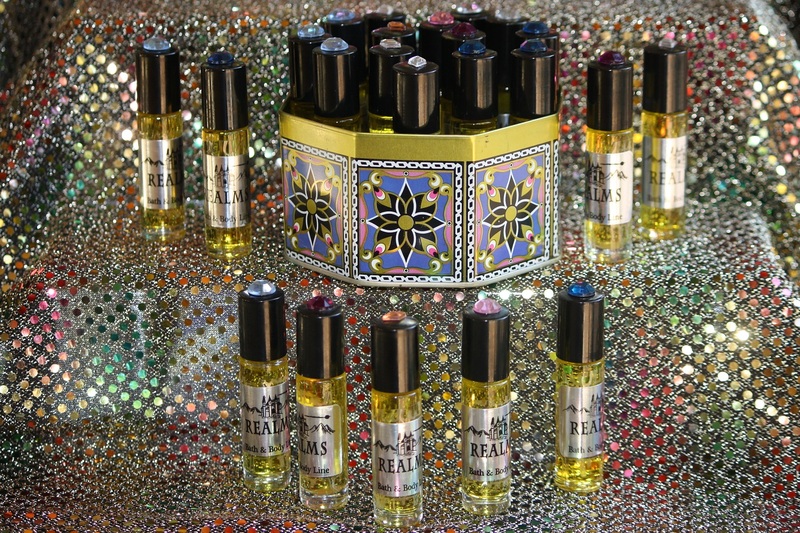 Jojoba oil perfumes are available in Crystafel, Ojai, Wai’oli, Jaffna, Avalon, Veracruz, Idyllwild and Mrr. Oh, and these tubes last a long, long time. 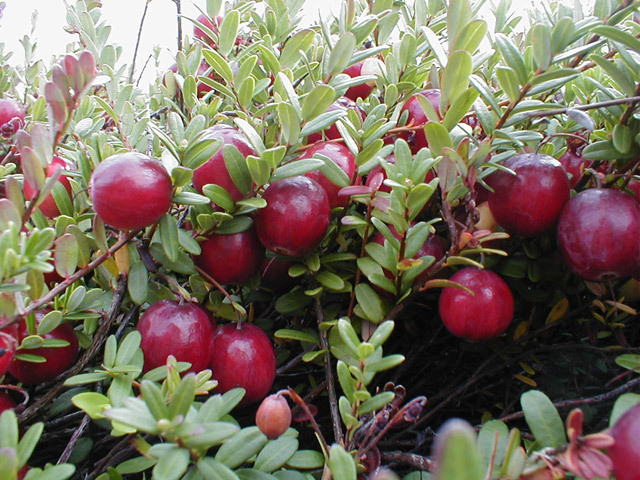 New for the season, is my latest scent, aBandon, a sweetened cranberry. I’m making it into everything, including shaving soap. I particularly like it as a room spray. This is the building kitty-corner to Bellingham High School and used to be a bingo hall, Sunshine Liquidators, and, most recently, Mayberry’s Sporting Goods. Bonus: latte stand in the parking lot! Thanks, Mario & Luke. You rock! Here’s where we’re at the rest of the summer. Please stop by and say hi! My inherited son, Ian, gave me a remarkable book for Christmas, titled The Innocence of Objects, about the making of the Museum of Innocence in Istanbul. 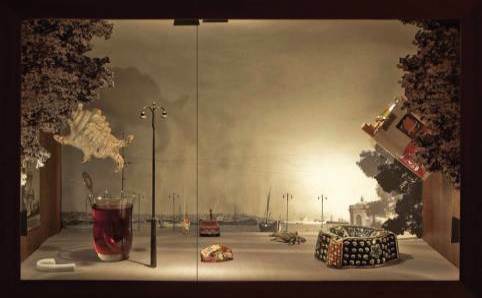 The museum is filled with shadow boxes, something near and dear to my heart. The boxes are exquisite. 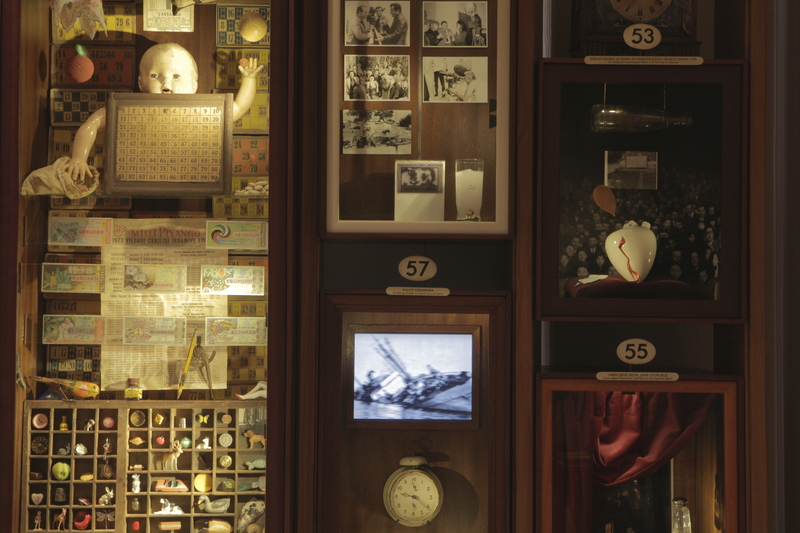 The museum was created by a man named Orhan Pamuk, who took decades to make this vision a reality. 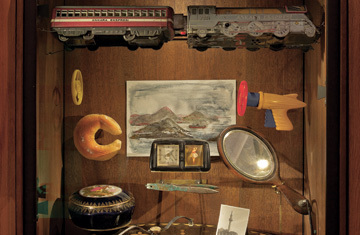 He collected everyday objects recollected from his childhood, then in addition to meticulously arranging them in shadow boxes, gave them their own life and meaning by writing an indelible love story which Pamuk also titled the same name, The Museum of Innocence. One of these days, I intend to visit Istanbul and this amazing museum. 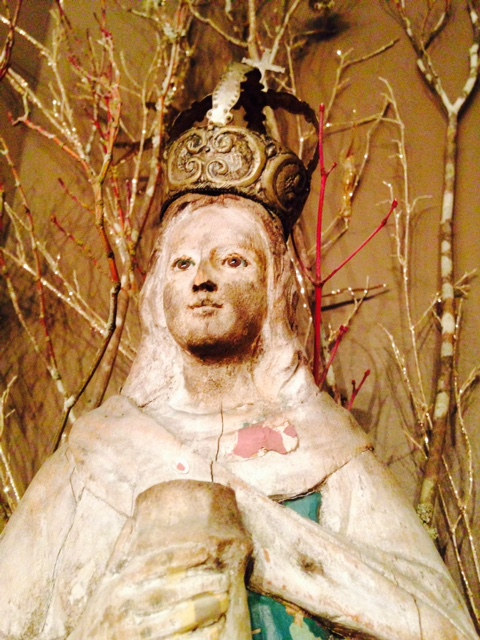 There is some amazing art at this year’s Allied Arts Holiday Festival. Semilla Design’s seed jewelry is fantastic. I love this red mouthed vase. The displays are often as creative as the pieces. I want to adopt this kitty. Clarissa’s creations stay with you. There are several very skilled ceramic artists again this year. I love this glaze work. 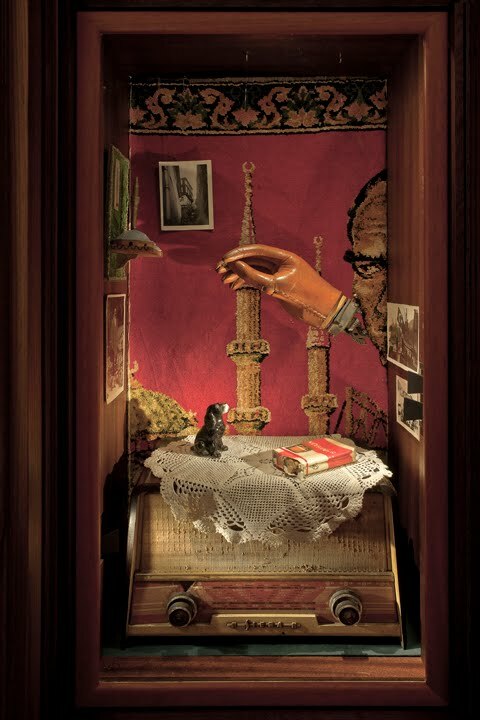 I adore Karin Mueller’s assemblages. I have two of her clocks already. 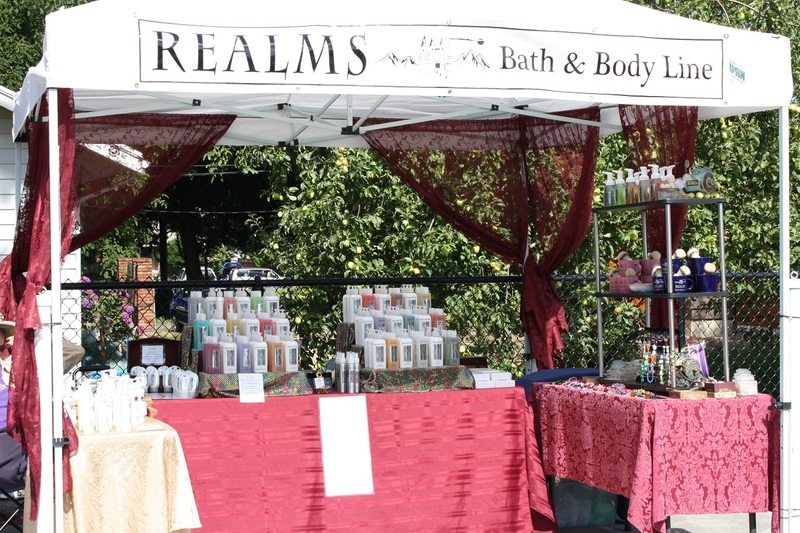 Here’s what my Realms booth looks like this year. Stop by and support local art!